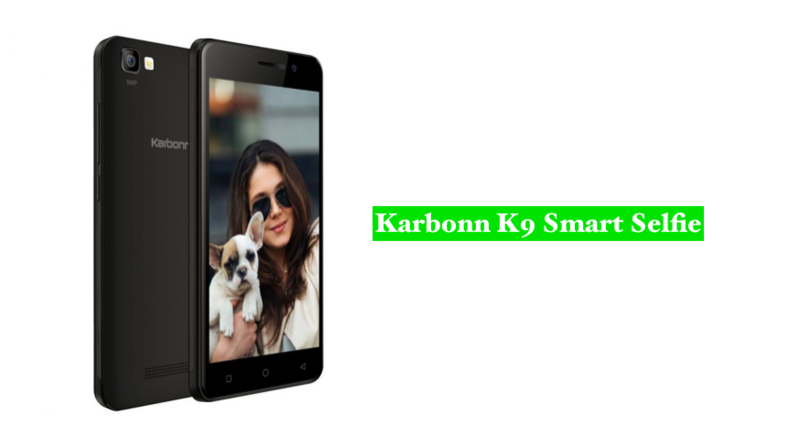 Karbonn Mobiles launched the company’s latest smartphone, Karbonn K9 Smart Selfie. The mobile is selfie-focused one which will be available at a budget price of Rs 4890. It has 8-megapixel front camera with Beauty mode and Night shot mode to enhance the quality of your selfies. Besides that, it also supports 4G VoLTE. It comes with 5-inch FWVGA 2.5D curved glass display and runs on Android 7.0 (Nougat) out of the box. It is powered by Quad-core processor and has FM Radio and 3.5 mm audio jack. Let us now have a look at the specifications of the K9 Selfie smartphone. The smartphone sports a 5-inch FWVGA 2.5D curved glass display at a resolution of 854 x 480 pixels. It is powered by 1.1 GHz quad-core processor and runs on Android 7.0 (Nougat) out of the box. The device comes with 1 GB RAM and 8 GB internal memory that can be expanded to 32 GB using the microSD card. It has 5-megapixel primary camera with LED Flash and 8-megapixel front camera. The mobile supports 4G VoLTE, Wi-Fi 802.11 b/g/n, Bluetooth 4.0, GPS and Dual SIM connectivity features. It packs 2300 mAh battery. Karbonn K9 Smart Selfie will be available in Blue and Black colors at a price of Rs 4,890 across the country. For those of you who take a lot of selfies and want to have a smartphone that is selfie-focused, you can go ahead and purchase the K9 smart selfie smartphone. For tutorials on how you can improve your life using technology, visit our TUTEZONE section.